So, here comes the reveal from my Facebook, Instagram & Twitter sneakpeak last week! Many did guess the location right - yup, its Tranquebar aka Tharangambadi. One of the only 3 tiny little towns that were Danish colonies in India, this place has a very unique feel to it, esp in terms of architecture, that's not familiar to the rest of India. I visited the place recently and more about it is on My Travelogue. Here's my OOTD! 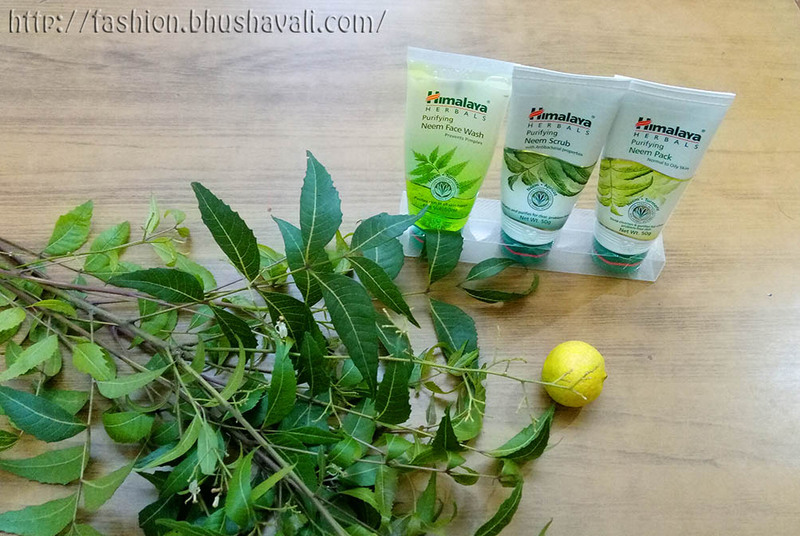 Recently Himalaya Herbals launched a campaign called #ChennaiPonnu and sent me some neem based skincare products. I was also sent this adorable bag with a Chennai Ponnu (Chennai Gal) driving an autorickshaw!!! The yellow and black combo of the autorickshaw totally inspired me and I wore the same combo. As you can see in the illustration, in the back seat of the auto is a pack of Himalaya Purifying Neem Facewash! 1, I trust Neem as an amazing skincare, haircare and antiseptic herb and 2, I trust Himalaya Herbals! Neem is a traditionally used product for haircare, wounds and even to purify air in Tamil Nadu, to the extent that its worshiped as God's form!!! I've already reviewed the Himalaya Purifying Neem Facewash in my blog. The rest 2 products are also fantastic. Just like the Walnut Face Scrub, Himalaya Purifying Neem Scrubs too has a nut as the scrubbing agent - in this case Apricot! The granules are so fine that it actually doesn't hurt the skin, but pretty gentle. Soon after rinsing off, the skin feels so soft and supple! The Himalaya Purifying Face Pack has Neem & Turmeric, another traditional Indian medicinal herb! This though, made my skin feel a bit stretchy after usage. Perhaps for oily skinned beauties, this might be perfect! The location as I said earlier is Tranquebar aka Tharangambadi in its Danish Palace (which is Neemrana's Bungalow on the Beach, today), Danish Fort and the Beach! Also the deep red of the Postbox also was very intriguing and I had to pose with it! P.S: The skincare product was gifted by the company for reviewing purpose, however the opinions are of my own experience and are this post does not to advertise the product. It's perfect OOTD you wear. How I wish my beloved wife would wear it too. I like how you mix black and yellow. The yellow stands out and the black just balances it in your outfit. Wow beautiful place. You did not mention where in India it is located, or I missed it. Beautiful mix of colours at beautiful places. Is it in India? You're just perfectly gorgeous with what you wear. I like the combination of them both and your background really rhyme to how you look like. I didn't know that yellow and black could be really this good. I have gone to Karaikal a lot of times but never went to Tharangambadi. Maybe next time. Nice post!